The optimal tent for your indoor grow will be context-dependent on your lights and space. Ideally, you want to get as much as space as you can, within the purview of your light. With the HLG 260W recommended in our lighting guide, we recommend a tent that’s 90cm x 90cm, long and wide. That will give you fantastic light coverage, and plenty of room to grow. The height, again, will be dependent on your space. We strongly recommend at least 150cm… but, you can get away with 120cm if you train your plants early on. 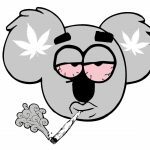 * Sativas will likely be a bit of a problem, however! So, if you don’t have a tall tent, stick to Indicas, or indica dominant hybrids. *Remember, your tent will also need to hold your exhaust fan, filter and light! Expect to lose some height and space because of this. Zippers that have a flat over them to prevent light leaks. These are good. Look for a ventilation grill on the bottom of the tent and an exhaust slot on the top. That the tent is free of PVC plastics. Can harm your plants. That the tent has a reflective silver material on the inside. So, where do you buy them? E-bay is probably the best spot; we strongly recommend this vendor. The shipping is discrete, the tents are of a high quality and good price, they come in many sizes, and you can even ask for a custom tent! Setting up your tent is a lot easier than most flat pack furniture. Below is a video of a tent being set up. Your tent will be a bit different, but the setup will be more or less the same. Keeping your tent clean will ensure minimal harmful bacteria get inside. Same applies for pests. Making sure all your power cables are tied down and kept away from any water is a must. Duct tape is your friend! Outdoor equipment is covered in bacteria and pests, ruining the controlled conditions of your grow. You do not want to use those old pots from the garden! That’s about all you really need to know about tents. Just remember: you can hide tents inside of other things. Mirror closets, cupboards, under stairs, in a garage shielded by boxes, a walk in wardrobe… you can put a tent just about anywhere! Joe is a dreamer, entrepreneur and an all-around good guy. 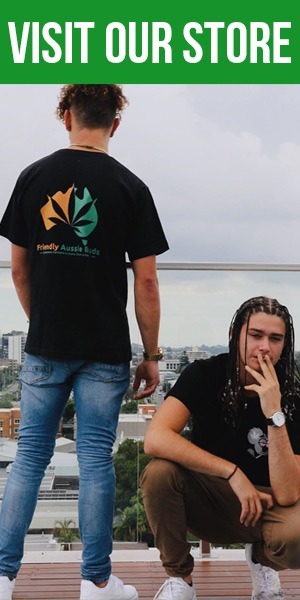 He wants to connect the Australian Cannabis community from businesses to consumers.